Experiential learning creates self-directed learners. Through experiential learning, participants are confronted with unfamiliar situations and tasks in a real-world context. To complete these tasks, participants need to figure out what they do not know and how to learn it. This requires them to: reflect on their prior knowledge and deepen it through reflection; transfer their previous learning to new contexts; master new concepts, principles, and skills; and be able to articulate how they developed this mastery. 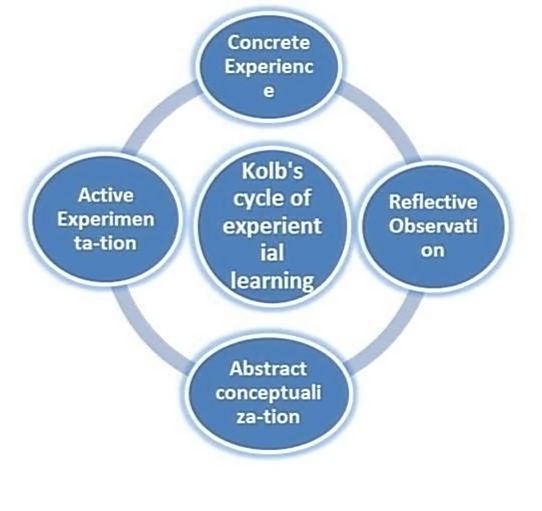 HOW DOES EXPERIENTIAL LEARNING WORK? Experiential learning is a preferred approach for building the skills of adults, who are accustomed to learn through action and experience. In the workplace, experiential learning has a long tradition, having proved itself over time to be the most effective means to acquire skills. The employees especially learn by interacting with peers that helps them acquire new knowledge and skills. It is an essential component in the functioning of society and in economic well-being—as the ubiquity of internships, apprenticeship programs, and on-the-job training shows. In modern corporate settings, effective capability builders rely on dedicated experiential-learning programs to achieve the results they need. The process is designed on these premises, and aims at establishing a friendly space where learners can digest manageable knowledge nuggets, follow their curiosity, and chart their own learning paths. Participants are encouraged to focus on the essential skills, take risks and learn from their mistakes. We believe that the end result of any training or learning intervention should show a significant return on investment; whether it is increased performance, profitability or efficiency of individual and teams. The programs are structured and managed by our team of certified and experienced facilitators. We specialize in outbound and adventure sports. Ranging from fun filled events, to ones that are designed to inspire and motivate, we have a solution customized to your every need. Our focus is on strong debriefed sessions to build the learning agenda. Activities become a means to an end. Been in business since 2004, with in-depth understanding of behavioral influences and knowledge of market trends that impacts individuals and teams. Holiday Adventures is capable of handling any event from conception to completion across the globe. Custom Price and Availability On Request.